This is the perfect activity for a sub station or a quick review. 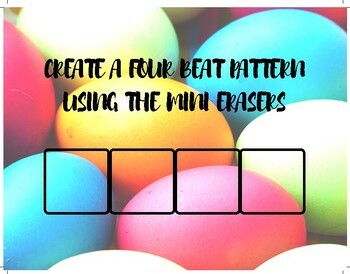 Give the students time to create four or eight beat patterns. 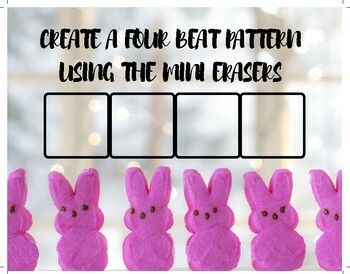 I purchased the Target mini Easter egg erasers. 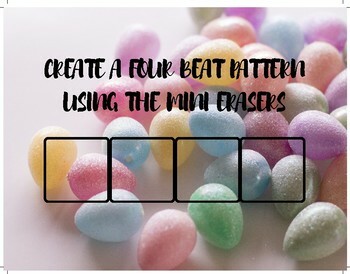 The students can be creative on how they show their pattern. Have them clap their rhythms, play their rhythms or find words for their rhythms. The possibilities are endless. 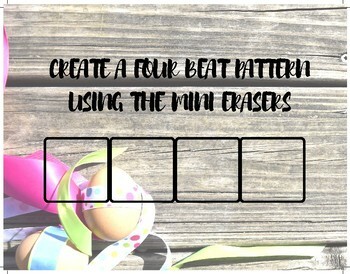 I would laminate the cards so that the students could use dry erase markers to draw stems on the notes.